2nd Annual FURRY PAWS Fundraising event! 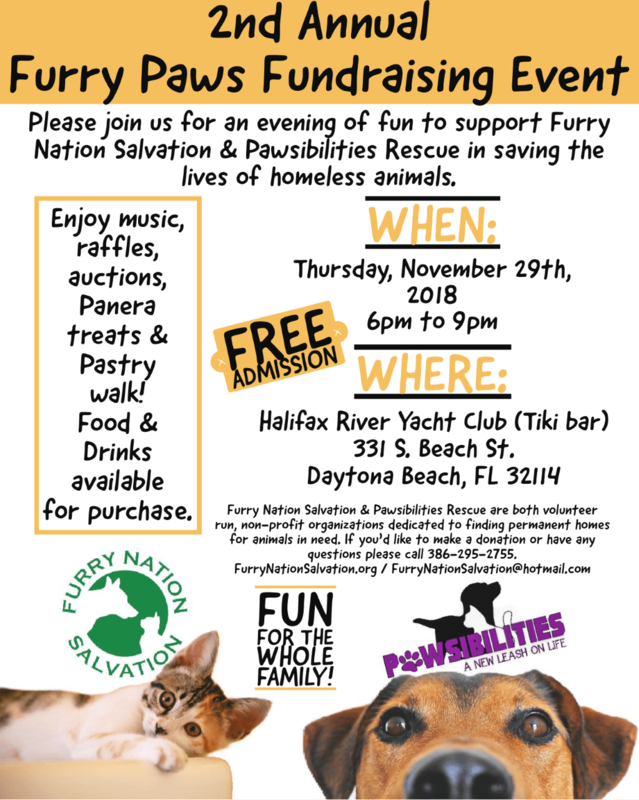 Please join us for an evening of fun to support Furry Nation Salvation & Pawsibilites Rescue in saving the lives of homeless animals! Cost: Free admission! Enjoy music, raffles, auctions, Panera treats, and a pastry walk! Food and drinks available upon purchase.